It is quite common for a frontal filling to come out or become lost. Although not a life-threatening situation, the lost filling should be replaced as soon as possible. The lost filling may have been made of amalgam composite resin or ceramic. Why Do Fillings Come Out? Fillings may be lost due to trauma, recurrent decay or caries, or poor retention. The loss of the filling may result in a sharp edge or temperature-sensitivity to hot and cold foods. 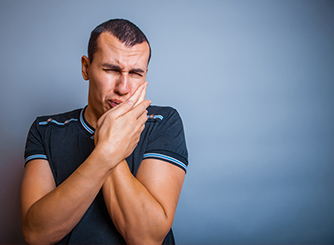 In vital teeth that have not had a root canal, rapid decay and irreversible damage to the nerve of the tooth may occur if the lost filling is not replaced shortly after it has become lost. The individual should visit their dentist within the next few days. However, having same-day service may be preferred to alleviate any discomfort, anxiety, or social embarrassment that the lost restoration may be causing. A temporary filling may be very helpful in this situation. 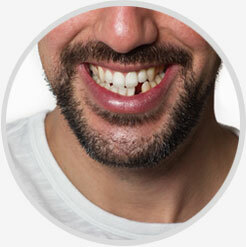 Sometimes the lost filling is accompanied by lost tooth structure and a crown, inlay, or only may be required. The temporary filling may be adequate for a few days until the patient is able to visit the dentist for a permanent restoration. If the patient believes that they may have aspirated the filling then they should proceed to the hospital for a chest x-ray.